The Department for International Trade has hinted it will return for a second business advice session at Silverstone Park after successfully promoting its #ExportingisGREAT message to the high-tech business and professional services sectors at the estate. Its sessions, which offered invaluable hints and tips to those potentially looking at exporting overseas, quickly became over-subscribed after announcing that its Export Hub – a moving presentation theatre on wheels – would be at the Park. The event – which attracted regional BBC TV and radio coverage – was part of the Government’s response to the Silverstone Technology Cluster and its CEO Pim van Baarsen was among the speakers in addition to DIT experts and Silverstone Park Commercial Director Roz Bird. 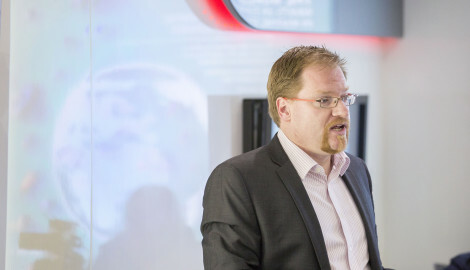 Chris Walker, CEO of materials technology company Diamond Hard Surfaces which sits within the Cluster – the one-hour radius around Silverstone – was also a speaker. “We like coming here and it’s been exciting having our Export Hub at Silverstone Park – it gives us a new focus,” commented Ian Harrison, the DIT’s Acting Director for Exports & Business in the Midlands. “The Hub has state-of-the-art technology aboard so it enables people to access our services, look at business opportunities and talk to current experts about the information on our websites. 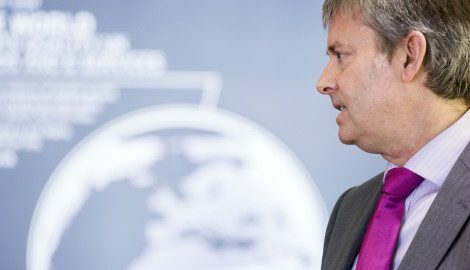 He also agreed with the Silverstone Technology Cluster’s importance when it came to exporting from the UK to overseas. He added: “A key objective for the UK is to increase the number of exporters we have and to increase the value of those exporters. Exporting allows businesses to grow, develop innovative products, become more active and actually gives the UK extra resilience against macro-economics. “Certainly we are seeing some exciting things in the Silverstone Technology Cluster and the sorts of businesses who supply other businesses have the ability to trade internationally. Roz Bird said: “We’ve thoroughly enjoyed having the Department for International Trade’s Export Hub here which has further underlined our capability in hosting really special events for the high-tech community. “The demand for places from companies was terrific and seeing so many new people come together, asking questions that could make a real difference to their futures, learning from one another’s experiences and networking is what the Silverstone Technology Cluster is all about. CLICK HERE for the full image gallery from the DIT’s Export Hub visit to Silverstone Park.